Two-year-old first starters MALO TO THE MAX and SPIRIT ESPRIT (pictured) both make their anticipated debuts at today's transferred Doomben meeting. 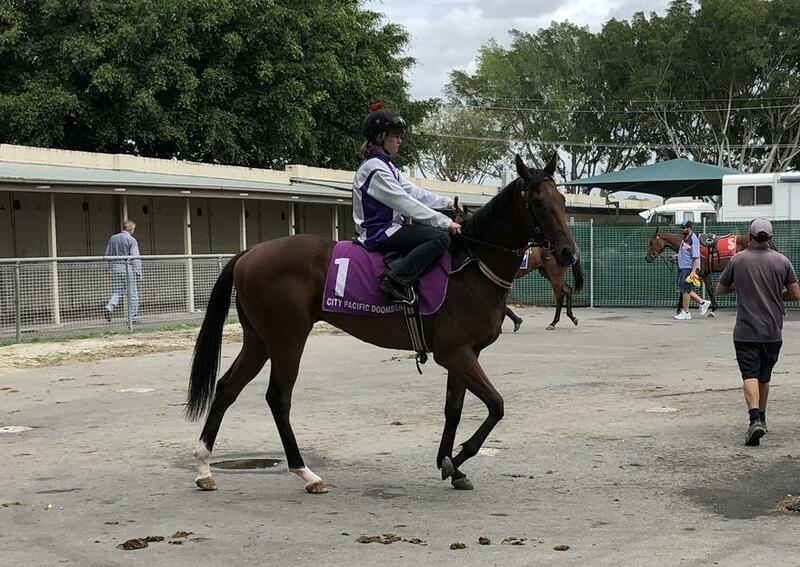 The pair both performed in recent barrier trials at Doomben, finishing third over 840m on February 26 and will step up to 1200m for their first-start assignments in the QTIS Two-Years-Old Colts and Geldings Maiden Plate (1200m). Also lining up on today's program, which was relocated from Ipswich to Doomben yesterday, is sprinter SMARTYPY who gets his chance to return to the winners circle dropping back to the 1050m third-up following a narrow last-start second at Doomben over 1200m.